All patches are released under the LGPL license. You can download them on GitHub. 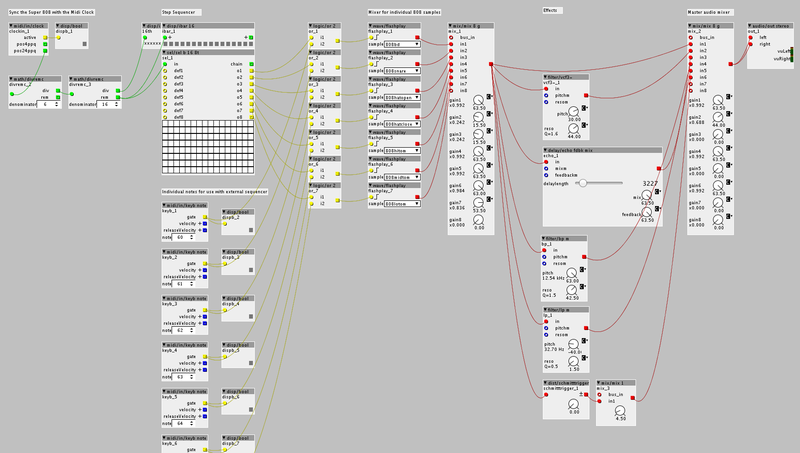 A monophonic synthesiser with two sine wave oscillators. Each oscillator has an ADSR envelope. The first oscillator goes through a low pass filter, the second one goes through a high pass filter. The filters also have an ADSR envelope for the pitch. A drum computer made with the onboard 808 sounds of the Axoloti. 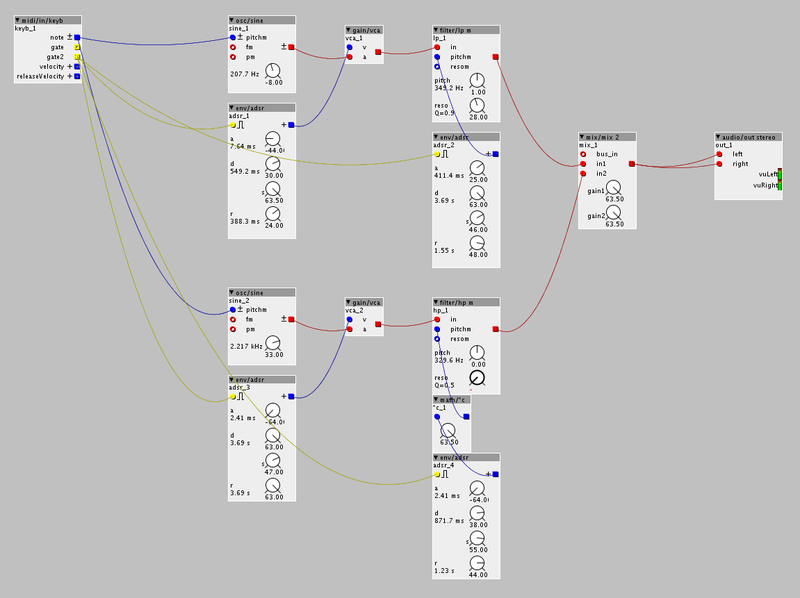 You can create your own sequence in the patch, or send midi notes to it. The signal can be routed through multiple effects to create a unique drum sound. A Weird patch with subbass and glitches.